Selection for all teams is based on the following criteria – ability, commitment and discipline. We will do our best to give everyone an opportunity of playing in the teams. In some of the age groups, we have more members than team places so it is not always possible. Please feel free to discuss any queries you have with the team managers. We have entered 2 teams at U10, U12, U14, U16 Girls and U12 Boys and 1 team at U14 and U16 Boys for the 2018/19 season. 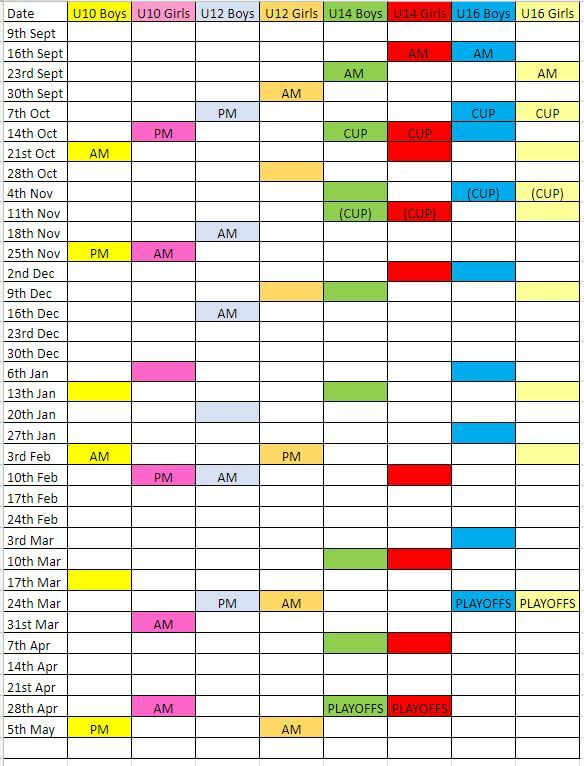 The dates/venues for the matches are as follows (click for larger version).